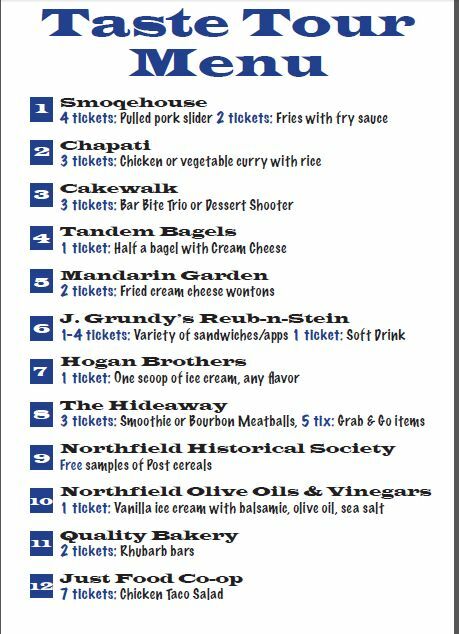 Our last post gave you all the details about the upcoming Downtown Northfield Taste Tour on June 15th except . . . details about the food!! Here is a map showing the 12 participating restaurants and the descriptions of their offerings. Remember, $1 buys 1 ticket. Tickets available in Bridge Square beginning at 4:45pm. 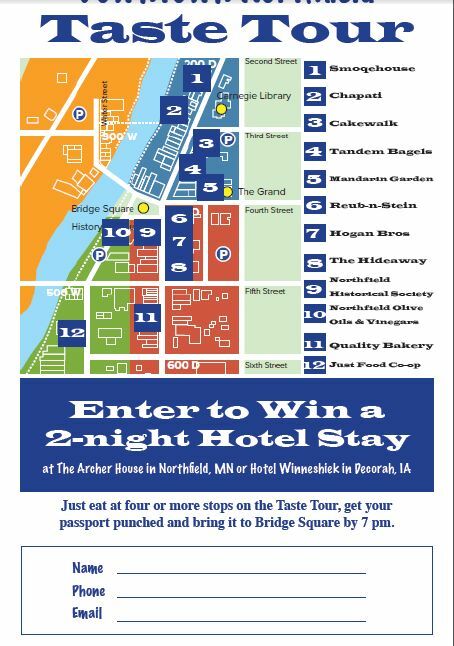 Get your passport stamped at 4 stops and you’ll be entered in a drawing for 2 free nights in the Archer House or the Hotel Winneshiek in Decorah, Iowa.